Store by thisopenspace is an eclectic marketplace bringing emerging designer brands to the public space of the historic Waterfront Station for the first time ever. Visit this Pop Up for unique brands for your wardrobe, home or gifts and meet the designers themselves. [Design Edition] This panel, consisting of luxury tea blender TEALEAVES, UBC Botanical Garden, Christine Lintott Architects & PFS Studios, explores how botanical gardens and the “secrets” they house can inspire different innovators from tea blenders, designers, academics and more to build lasting impact on people, society and the environment. The first bud from the Garden of Secrets will bloom at Vancouver Design Week! [Design Edition] Type Brigade is Vancouver’s typography speaker series. Every other month, we host talks on typography, lettering, type design, calligraphy, and more, with local speakers and out-of-town guests. [Design Edition] Modacity and HUB Cycling are proud to co-present the Vancouver premiere of the Dutch film “Why We Cycle”. This delightful documentary takes a ride with ordinary cyclists and specialists from a variety of disciplines. These conversations uncover some obvious, but even more hidden effects of cycling, on people, on societies, and on the organization of cities. The 56-minute film will be followed by a half-hour panel discussion with local politicians, bike advocates, and business leaders. [Design Edition] Entering a magical world where technology, nature, and human beings meet. Dive into a world of light designed to deliver a message of positive impact and immerse your senses in colourful visuals and relaxing music. Join an intimate gathering of industry leaders and graduating ECU design students to celebrate the globally significant design industry in Vancouver on the occasion of Vancouver Design Week. This is also a fantastic opportunity to view the Emily Carr Grad Show! Co-hosted by Vancouver Design Week and the Shumka Centre for Creative Entrepreneurship at Emily Carr University of Art + Design. [Design Edition] PechaKucha Night is a fun and informal event where people can meet, inspire and get inspired, based on a format that is fast-paced and fun. Join us for PechaKucha Night Vol. 45 as part of the Vancouver Design Week. PechaKucha is for content and not profit. It is supported by a network of volunteers and is 100% funded through ticket sales. [Design Edition] An inspired documentary screening, #ColorInSight, and panel discussion will explore colour strategy, specifically, how brands across industries can harness the power of colour and how colour strategy can have a large impact on the perception of products and services. For companies, colour has long been a tool that the most memorable brands use to assert their identity. Colour has become an industry-agnostic tool that only the best brands wield to capture their audience’s attention. Proceeds from ticket sales will be donated to the Vancouver Design Foundation to support VDW. Renowned London Architect Alison Brooks will present the keynote lecture of Vancouver Design Week. ‘IDEALS THEN IDEAS: New Urban Housing as Civic Architecture’. Alison will be discussing her practice philosophy, architectural approach and the ideal of ‘civicness’ relating her current and recently completed projects in housing and higher education. These include the Cohen Quadrangle at Oxford University and her exceptional mid-rise, high density residential schemes In London such as Ely Court, shortlisted for the 2017 Mies Award for contemporary European architecture. She will discuss how her architectural ideals of authenticity, generosity and beauty can be embedded in all urban development and will demonstrate the potential of housing to both express local culture and serve the wider community. UX Principles provides you with the basic understanding of the UX Design process, essential skills of a UX Designer, and how they use strategies like Design Thinking and Human-Centred Design when designing digital products. We’ll discuss how UX Designers work independently and alongside technical teammates, and review the day-to-day work of a UX Designer. Leaders are under pressure to innovate - or else. Trouble is, most never learned how. Moura Quayle and Denise Withers bridge this critical gap with their books, Designed Leadership and Story Design: The Creative Way to Innovate. In this open discussion, Moura and Denise will talk briefly about the foundational concepts behind their books and decades of design practice, then invite participants to to share insights and experiences for designing change. [Design Edition] Dominic Wong, Director of Design at Invoke, will lead a fast-paced workshop on paper prototyping for digital products. Learn what it takes to refine a world class product through Invoke’s process of failing fast, iterative prototyping, and tactical collaboration. Join us for tasty beverages and snacks—and discover how paper can make your digital projects more impactful. [Design Spaces] From the outside you'd never guess that the Belkin Art Gallery holds one of the city's largest collections of art works and artist ephemera. This unique, flexible space maintains some of the highest standards for art display, making it an important point in the national and international art scene. Join us for a rare tour with insight from Architect Peter Cardew and Belkin Curators to learn about this extraordinary member of Vancouver's architectural landscape and how staff use it in their innovative programming. Optionally combine with the Museum of Anthropology tour, also in the UBC cultural district. [Design Spaces] As spaces of cultural preservation, engagement, and reflection, museums present interesting design challenges in both their architecture and the exhibitions themselves. Exhibition Designer and Producer Skooker Broome will lead a tour of the Museum of Anthropology at UBC, starting from Arthur Erikson's iconic 1976 building design and looking at the process behind three current exhibitions. Don't miss this rare opportunity to see behind the scenes and learn the design process of cultural engagement. Optionally combine with the Morris and Helen Belkin Art Gallery Tour, also in the UBC cultural district. [Design Edition] Who doesn’t want to throw up when reading useless labels like “most liveable city”, “greenest city”, or “hotspot for sustainable design”? Nothing can cover up the harsh reality: If not for its famed geography and picturesque surroundings, Vancouver would be a third or fourth tier city. Where are the buildings and public spaces that are artful, intelligent and innovative? Where are the ideas? Design isn’t valued here. We’re thirsty for an oasis in this design desert! Guest lecturers from UK’s Cranfield University will provide participants with an interactive workshop leaving attendees with an understanding of what a circular economy is and how they can implement circular innovation to add new value to their studies. Participants will use state of the art tools and approaches to assess their current capability levels for the integration of circular economy principles into their learning. Many designers feel something has been taken from them when professionals outside the design field talk and teach Design Thinking. But should they, really? This talk encourages the audience to participate in a conversation, where the conventional idea of Design will be challenged, and a wider understanding of the future role of designers in a complex and digital world will be explored. A multi-day collaboration of the Vancouver Design Nerds, frida&frank, and Vancouver Design Foundation at Robson Square. A variety of pop-up experiences will enliven our inflatable bubble spaces, showing you first hand how they use design to create impact. Plus surprise activities and guests to be announced. Sponsored by VIVA Vancouver. Wines from Vancouver Urban Winery, and tasty local brew by our neighbours at Faculty Brewing. [Design Edition] Instead of breakfast and coffee, join the CMVan community for drinks and canapés on Thursday, May 10th from 6–7pm and hear from two rising local design stars, Ender and Pat Christie, co-founders of SPACE, in a co-presentation about creativity through the lenses of commitment and craft. As part of Vancouver Design Week, this special evening edition will be hosted by HCMA Architecture + Design in their Vancouver headquarters. As usual, Tickets are free, but tickets will be issued with priority to Vancouver Design Week attendees. General registration opens May 4. [Design Edition] Engine Digital is part digital consultancy, part design and technology studio. Seeing the need for a casual and fun event to bring together the Vancouver design community, the design team at Engine Digital created Make It POP Quiz — pub trivia with a design-nerd twist. Join this workshop by InWithForward, where we build organizational and community capacity to make & sustain bottom-up change. We're exploring what 'flourishing' looks like for the people we serve? What is the appetite for change? How can we create an environment for experimentation in social services? Come play with some of the frameworks and tools we use, that combine social science, implementation science, and design to develop deeper understanding that is actionable and propels change. [Design Edition] Matthew shares his personal journey into lighting, his work, and inspiration since he created his eponymous studio in 2013. Guest lecturers from UK’s Cranfield University will provide participants with an interactive workshop leaving attendees with an understanding of what a circular economy is and how they can implement circular innovation to create new value for their business. Participants will use state of the art tools and approaches to assess their current capability levels for the integration of circular economy principles into their business operations. Spaceship As A City is a metaphorical movement in urban planning - a new way of thinking about humans and their relationships with their habitats - an intelligent way of designing future cities. Product Design instructor Sue Fairburn hopes to provoke an active discussion about the future of cities. Sue discusses making cities self-sufficient, like a space station. Spaceship and space habitats are comparable to the modern, densely packed, and technology-driven metros of tomorrow. Conflicting event for Falun Dafa Day means we are unable to run our programming today. Please enjoy our other VDW events! What if design could…? Vancouver Design Foundation is raising awareness by connecting the dots between design potential and design impact. Connect design impact to positive potential, see how we’re connected by design each day, and connect to each other - as a community - to exchange ideas and to dream about what’s possible. LaSalle College Vancouver offers Bachelor’s Degrees and Diploma programs with a concentration in the applied arts. Specifically, the areas of Fashion, Design, Media Arts, and Culinary Arts. 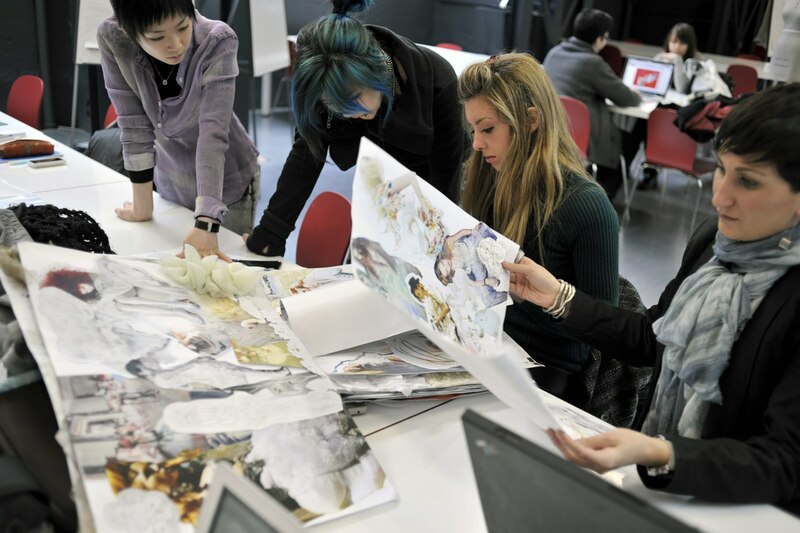 The Vancouver campus also offers on-line training programs in Interior Design, Fashion Marketing, Video Game 3D Modelling, and Administrative Assistant. 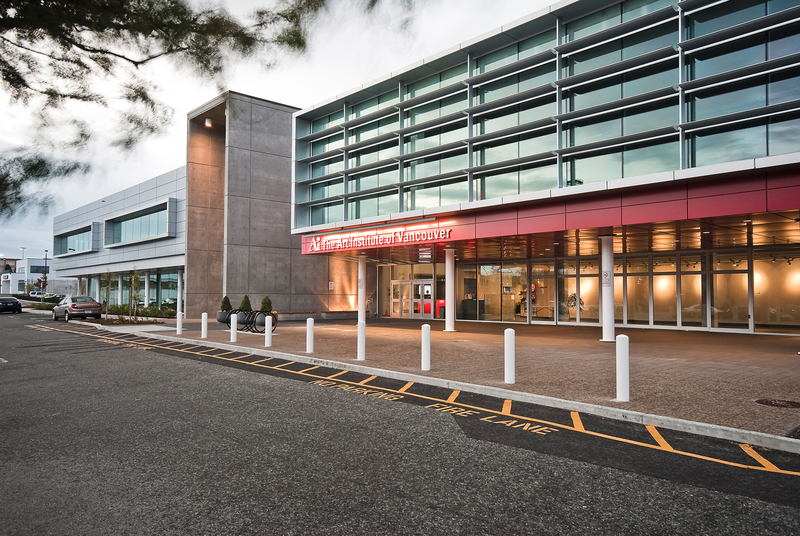 The college is accredited by BC’s Private Career Training Institutions Agency (PCTIA) and is a member of the LCI Education network composed of 23 campuses on 5 continents, offering high-quality post-secondary education in Vancouver for over 10 years. Among the many advantages, students are able to enjoy opportunities to study abroad from one week to one semester at a selection of the network’s campuses, including Montreal, Bogota, Istanbul, Jakarta and Barcelona. We're shaking up Vancouver Design Week 2018 with not one, but two deliciously addictive creative events. Featuring a line-up of multi-disciplinary designers, each showcasing their career paths and presenting design beyond the drawing board. This event will also give you access to the BCIT Graphic Design Grad Show 2018. We welcome you to celebrate with the graduates and view their work. Western Canadian design stems from humble roots: our country's early practitioners were often anonymous, though their work impacted the everyday lives of citizens. They shaped Canada through design, creating the architecture, systems and products of a newly founded and developing country. As a result, Canadian design has been, in practice, largely unseen in Canadian life and in the international design market. Spend an evening with five designers whose work challenges this anonymity and brings attention to the value and impact that West Coast design contributes to on a local and a global scale. Five short presentations will be followed by a roundtable discussion and audience Q&A. Speakers: Bonne Zabolotney (Vice President Academic + Provost, ECU); Mo Dhaliwal (Director of Strategy, Skyrocket Digital) David Battersby (Partner, BattersbyHowat Architects Inc.); Michael Leckie (Principal, Leckie Studio); and Kate Duncan (Designer, Kate Duncan Furniture Design). Moderated by Anicka Quin (Editorial Director, Western Living & Vancouver magazine) and Leanne Prain (President, GDC BC). [Design Spaces] Join us for a glass of wine & cheese included in the tour of a fully restored 1995 34 ft Airstream trailer by Gray Ghost Restorations. James Thiessen will discuss his design strategy and the improvements he made to make this trailer a travelling home. [Design Spaces] MEC’s Head Office is a 112,000-square-foot LEED® Platinum Certified building. Approximately 500 staff work here, including some casual and part-time employees in our Service Centre. Join us to learn about the building’s design, sustainability at MEC, how the facility supports active living, interior design and furnishings, and technical clothing design. Meet your guides: Hugh Cochlin, Principal, Proscenium Architecture + Interiors Inc.
An informal gathering of interior designers and industry leaders in windows and patio openings. Intended to connect faces to names, showcase innovation in #fenestration, and celebrate our new partnership with Western Window Systems. Get ready for RED Academy’s Impact Logo Design Battle. Join to watch or participate along with our students and staff. There will be a face off against each other in an attempt to create the best logo for one of our community partners. Armed with markers and our whiteboards, teams will have one hour to conceptualize and execute a logo. Join us for a beer and cheer them on or get in on the action! In our programs, students work with Community Partners as their clients. Connect with fellow Vancouver Design Week attendees at our legendary community party that kicks off our jam-packed weekend. VIVA Vancouver and Vancouver Design Foundation invite you to party with design activations inside BUBBLESCAPE curated by Vancouver Design Nerds. Ping pong, interactive art, and truth or dare balloons will engage event goers. Live DJ sets by DYSART, Nightwork and Loner. This free, all ages community gathering has food and drinks for purchase from El Cartel food truck, Oddity Kombucha and more. For your visual pleasure NUBO by Tangible Interaction will feel like you’re walking amongst the clouds. Proudly sponsored by LaSalle College and Viva Vancouver. Sean Ruthen, Architect AIBC, FRAIC is your guide on this 90 minute architectural tour from Waterfront Station along Burrard St. to the Law Courts, with stops along the way to talk about the CPR, Gastown 200 Project, as well as influential city builders such as the Guinness and Bentall families. Other stops include Canada Place, the Marine Building, Christ Church Cathedral, the Electra, and Robson Square. [Design Studios] Meet the designer and builder of contemporary studio furniture in shared designers/artist space Paneficio, with a display of works and process talk. [Design Studios] Open studio: Cabinetry design and unique finishing. [Design Landmarks] On the edge of our world famous forested park sits a somewhat unassuming building that is, in fact, a portal to a different era of design. The Vancouver Parks Board Office in Stanley Park is perhaps our best-preserved, though still actively used, example of mid-century modernism. This rare tour will take you through a seldom-seen gem of our city’s government and design legacy. BOCCI's team of glass blowers will lead a tour of the new Railtown glass studio and demo the most recent BOCCI products, 84 + 87. The User Interface Design Principles Workshop will provide you with the basic understanding of the UI Design process, essential skills of a UI Designer, and the tools they use. We’ll also discuss how UI Designers work independently and alongside technical teammates, and review examples of great UI and current trends. Please bring a computer. [Design Studios] See handmade leather bags & accessories for both men & women using both new & upcycled leathers. We'll guide you through our upcycling process & how we turn old leather garments into new products. Bags & accessories from our spring/summer 2018 collection on display. [Design Studios] We're a design agency. Drop by and learn about our creative process. At 2 pm founder and partner, Josh Dunford, and the design team will do a short talk followed by a Q&A. We'll have work samples to review, refreshments on hand, and even few jokes. [Design Studios] We are a core architectural practice specializing in community recreation facilities. We want our work to be accessible to the public and ourselves. We do that through conversation. So come and convene. [Design Studios] Located on the edge of a Pacific Northwest rainforest, Christian Woo produces furniture infused with a strong sentiment of place, scale and permanence. Christian Woo’s design philosophy is centered on the creation of a calm and timeless presence. Built from the highest-grade, hand-sourced materials with precision-cut craftsmanship, our pieces embrace a clean-lined, bold aesthetic. [Design Spaces] Crosstown Elementary School is a new urban primary school for downtown Vancouver families. Join us a for a tour of the school and its community-oriented spaces. Presented by Francl Architecture. SEGD Vancouver (our local chapter of the Society for Experiential Graphic Design) will review the principles of wayfinding and explore the cultural implications of the language of signage, iconography and message in built environments. By SEGD Vancouver and SubCulture at Creative Coworkers. [Design Studios] The expected growth of our city makes for a carefully orchestrated project. The available land is limited by water and mountains -our fixed boundaries. I am free to do what architects and developers can only dream of doing. I bend engineers’ protocols and planners’ minds to construct new urban environments. Photography and imagination combine and allow me to move and reshape buildings. In these times when real estate prices are hitting the roof, I multiply the land available and bring the matter -through illusion- to the fore. Will such imaginary constructions become a seed that generates alternatives beneficial to the future inhabitants of our city? I hope so. As a creator, I express what my mind sees. The works presented are meant to incite thinking. I do not claim to know what should be done. I want our city to continue being a unique livable space -a paradise some would say- for decades to come. Look at what surrounds us! Imagine what our actions today will turn into tomorrow. We are responsible for what we leave to future generations. The first 1o attendees will win a photography print of my artwork. A group of Vancouver-based parents, entrepreneurs and creatives are developing the business case for Nestworks, a new non-profit startup dedicated to reimagining work/life balance. If this resonates with you, bring your ideas to help us grow this exciting project! How could we redesign our workplaces to better accommodate our family needs? What opportunities for social innovation, creativity and improved mental health - among other positive impacts - may present themselves when we reframe the traditional binary of "work" and "life" to be more integrated, instead of separate? Designing Future Classics in both a product and a retail space for a beast free brand. We will address environmental/sustainable product development and how we translated those design pillars into our first retail space. [Design Studios] DIALOG is a multidisciplinary design studio consisting of Architecture, Landscape Architecture, Urban Planning, Interior Design, Structural Engineering, Mechanical Engineering and Electrical Engineering. For Vancouver Design Week we have created an interactive installation that poses questions about the impact of design on the wellbeing of our communities. [Design Tastings] Come get the scoop on the details of Earnest Ice Cream! Hear our story, learn about ice cream and our North Van shop design, then top it off with a full tasting tour and scoop of ice cream. [Design Studios] Come and see our projects and our studio space. We look forward to meeting you. FSOARK Architect Inc. is a Vancouver-based practice led by Imu Chan. The designs are driven by intent rather than stylistic exposition. With projects spanning a broad range of scales and mediums, the practice explores the essential, emotional and humanistic qualities of space, which demand cross-disciplinary examination but focused execution. [Design Studios] Haeccity Studio Architecture's work is situated at the intersection of art, architecture and planning. Find out what we've been up to, view our award winning proposal for the Missing Middle Competition, and test play our latest prototype: a collaborative board game demonstrating how together we can make an impact on housing affordability. [Design Studios] Intergalactic will be showing off our VR, AR, interactive, design and UX capabilities with demos of a VR apartment walkthrough, VR Light Sabre game, augmented tablet experience for Real Estate, and video demos of our interactive/design process. [Design Studios] Meet the freelancer designers who work out of L'Atelier Coworking and learn about the ins and out of #freelance life. L'Atelier will be providing light breakfast, coffee, and tea. L'Atelier, French for workshop, is a Co-Working space, event space, and networking hub in Gastown for creative entrepreneurs, startups, and freelancers. We provide comfortable, inspiring, and affordable space for individuals and small businesses to realize their projects and connect with a community of likeminded creators. [Design Studios] Join us for this artist talk on impact of architecture on Lori's art practice, and desired impact of the artwork on our city. [Design Studios] Louder Than Ten trains digital project managers for the design industry. Join us for refreshments, shop talk, and help on your project pains. [Design Studios] Come join us for libations in the courtyard, a tour of the studio, and a view of our upcoming and ongoing work. [Design Studios] Join us at our newly opened Vancouver office to see our current work on display and meet the team. Light refreshments will be served. [Design Studios] I specialise in creating site-specific public art combining my professional training and years of experience as an artist with a background in materials technology, industrial engineering, and production control. I will invite you into my creative process with examples of how I integrate art into architecture and public spaces, from initial concept to installed artwork. You will get up close and personal with some of the materials I have used, including: engraved granite; Richlite® (panels made from recycled cardboard); thermo-formed translucent Corian®; Streetbond® and cement skim. Note: Please enter @ entrance at the loading bay on George Street. [Design Studios] Mosh framemakers create hand crafted, artisanal, bespoke eyeglass frames in their store and factory in stylish Gastown, downtown Vancouver, BC. Sara Moshurchak, the Head Honcho, Design Guru and Style Wizard along with her team of certified Canadian optical elves craft one of a kind, custom eyeglasses. By hand. Right here. Sara is only one of three women in the world handcrafting frames like this. We will open our studio to show how we handcraft eyewear, the creation of our next collection currently in progress, and some of the other fun projects in the pipeline. Liquid refreshments will be served. We also have a whole bunch of excess acetate plastic material that we'd love to give a good home to. So bring a small bag to load up on some amazingly colourful (and free) offcuts! [Design Studios] I have been part of creating three artist studio buildings and will give you a tour that will touch on Paneficio Studios history, the neighbourhood and fostering the well being of artists in our city. I am a visual artist whose primary medium is assemblage. My art will be on display but I will focus on the tour of our building and how we created a working space for 9 artists. This will start the day off at our building with two artist talks by Arnt Arntzen and Lori Sokoluk. [Design Studios] Perkins+Will is a multidisciplinary design firm, specializing in Architectural, Interior, Urban, and Industrial Design with a history of design excellence, particularly in sustainability. Oxford-style Debate: Are autonomous vehicles a force for good or bad? Exquisite Corpse: help us draw a future vision of Vancouver block by block. [Design Studios] PFS Studio is a leading Canadian planning, urban design and landscape architecture firm offering consulting services nationally and internationally on a wide range of projects for both the public and private sectors. We plan to host a digital presentation accompanied with project images and models, as well as an opportunity to engage in an informative Q&A session with real live landscape architects. We will also be offering snacks and refreshments. Join us for a discussion on the impact of evocative branding. Why do different brands selling similar items, compel entirely different groups of people? We will examine the communicative power of strategic branding as well as give insight into our design process. Drinks and snacks will be provided. [Design Tastings] Join us for a behind-the-scenes tour of our brewing and wine-making facility, made all the more entertaining with a beer tasting. Come check out where the magic happens! At Postmark Brewing, we strive to impact the craft beer industry, while keep our environmental footprint as small as possible. From recyclable packaging materials to our full-circle spent grain program with Two Rivers Specialty Meats, we're as eco-friendly as they come in the brewing business. [Design Studios] Propellor is a multi-disciplenary design studio focused on lighting design and sculpture. For VDW we will open our doors and invite visitors in to see what we are cooking up: recent commissions, new products, ongoing projects, experiments, and an assortment of prototypes. Join us for a look into our creative process and stay for conversation and a beverage or two. [Design Studios] We're a digital branding agency offering services in strategy, design and engineering. During VDW we will have team members in the space to host guests and answer questions about our process and work. We'll have case studies/work on the walls and beer/appies on hand. [Design Studios] SPACE is a coworking studio and material exploration space in which members show up, evolve and contribute through their own personal practice. 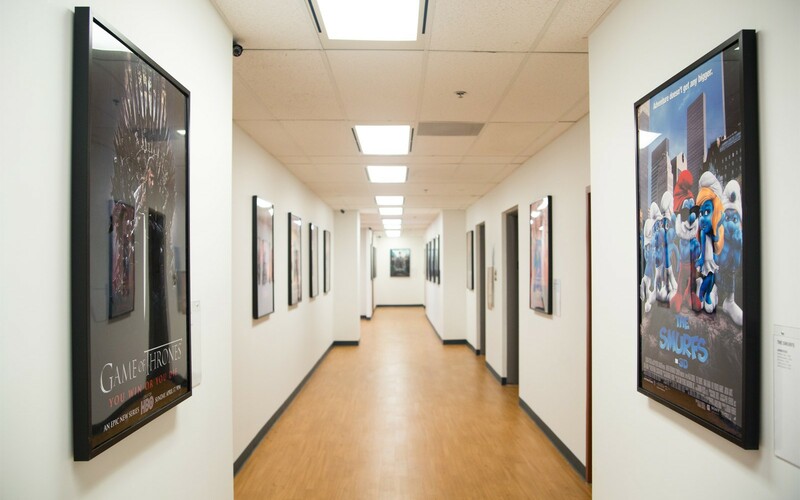 During your visit to SPACE you'll see a diversity of work from a variety of different artistic and design practices in the open studio environment. We hold SPACE for collisions between people and their ideas. Our feature displays we be highlighting examples of work that has emerged from this collaborative environment. SPACE has taken leadership by strategically designing a space in which design-minded people can grow, explore new ideas, take action and produce results. We're embedded within our community, and believe in the difference we can make in our city by a hyper-local network of human connections. [Design Studios] Come and hear our stories! SwitzerCultCreative cultivates opportunities for talented local designer/makers. We believe great local talent holds an important place in our community and beyond. What impact does "Create local, buy local" have on our communities? Guests will hear the SwitzerCultCreative story and directly from those working on the front lines. [Design Tastings] Join TEALEAVES for an AROMA-themed tasting experience, inspired by tea at Boulevard Kitchen & Oyster Bar. Explore how AROMA affects taste with Executive Chef Alex Chen through his tea-inspired entreé. Slow cooked halibut with summer peas, snap peas, asparagus, pomme dauphine, TEALEAVES Health & Well-Being Green tea-infused razor clam sauce vin blanc, and caviar. #PaletteForYourPalate project in collaboration with Pantone, Microsoft Design and world-class chefs and mixologists, we explore tea + color + mood + aroma through our bespoke culinary experiences. includes a widened Spirit Trail and a Megabench (now complete as part of Phase One), a large wood deck for viewing distant sunsets and the detail of the intertidal edge. The Megabench required highly detailed design which needed to be buildable, easy to maintain, usable, and of course beautiful. Hapa used digital modelling tools to design and create working drawings. Before finalizing the design, mock ups were built at full scale. The Cates Tug drydock will be repurposed as an intertidal parterre garden that captures and filter stormwater before returning it to Burrard Inlet. A Walking Tour highlighting the impact of changes in our community resulting from the construction of Laneway Houses and Passive Houses. We will meet at the Mighty Oak to showcase an outstanding community gathering place. Coffee and treats will be included in the tour fee. Designers participating in the tour are Lanefab Design/Build, Erik Olofsson Construction, Gray Ghost Restoration. The walk will start with the tour of 2-3 Laneway Houses and a completed Passive House. Your tour guide is Jill Leversage - a homeowner who just moved into this community. [Design Landmarks] Patricia and John Patkau, the architects of The Polygon Gallery, will be guiding a limited number of guests through the recently completed cultural icon on the waterfront of Lower Lonsdale in North Vancouver. Guests will learn about how their design vision responded to the needs of their client, the emerging community and the majestic context of the North Shore while highlighting how specific design decisions can have a positive impact on the well-being of the people that engage with the building and surrounding plaza. Tour meets at Gallery Reception. Please arrive at 12:55. [Design Tastings] We will be teaching a class on how to professionally cup coffees to identify tasting notes and flavours. In specialty coffee, impact can be a coffee that leaves an impression on you. Flavours that pop in new and interesting ways, or invoke a memory that you didn't realize you had. A presentation on small housing types, designs and their real-world applications. Followed by an industry-led panel and Q&A with Jake Fry (Smallworks), BC Tiny House Collective co-founders and other panelists. Presented by Small Housing BC. [Design Studios] Our space features Vintage Yaletown style + modern space optimization! Come see our newly designed autonomous silent meeting room, integrated glass wall systems and locally designed craft furniture presented by @archetypeconcepts. Lets talk design while enjoying some refreshments and snacks. [Design Spaces] On this faculty-led tour, you will experience the School’s exterior glass curtain wall which produces a breathable and comfortable environment for the students within, as it regulates levels of air, light, and temperature. The innovative, wooden interior structure conveys an inviting atmosphere while incorporating sustainable, renewable design and a carbon footprint reduction. The second-floor “porch” juts out of the building and contains a student lounge with access to an outdoor terrace for enjoying Richmond’s moderate climate. The event box, on the fifth floor, takes advantage of views to the mountains and the Pacific Ocean. Come see what the centre for design innovation and leadership looks like. [Design Studios] The Yew Woodshop is a shared studio and making space for 6 different small businesses focusing on wood design & production. Members include OGA Design Inc., Daly Co., Benjamin McLaughlin Art, Willow & Stump Furniture Design, Skyn / Boon, and Sacred Light Design Co.
During VDW members of the Yew Woodshop will be on site to share their current and past works, as well as prototypes and process work that would not otherwise be on display. [Design Studios] We're an industry-connected, education-focussed community hub consisting of a maker lab, a print and digital design agency, and a business incubator and co-working space. For VDW we'll open our maker stations for all ages with a focus on kids for laser cutting, 3D design, 3D printing, jewelry design, and poster making. [Design Studios] An open office self-guided tour with current and in-progress projects displayed for the public to see our design process and finished works. [Design Studios] Open house featuring the history of our brand and key iconic designs in our showroom. There will be a photo wall, a movie and other activities. Light refreshments will be served with a Danish touch. [Design Studios] We are a branding, packaging and website design firm. Learn how to make your own cedar mini-planter in the Tradeworks/Open Door Group workshop. Receive instruction from our experienced carpenters and take home a mini planter (succulent included). and a lesson on how to safely use the drill press, router table and sander so you can make and take home your own mini-planter. [Design Studios] Circle Wellness Studios: Innovative wellness amenities for residential and commercial clients. The WelPod, a multi-sensory therapeutic smart room, is their flagship concept, and they also offer consult, design, and build services for custom experiential installations that promote mindfulness and well-being. NULANE Design + Build: A boutique Design and Build firm passionate about designing small living spaces. Our natural niche in the Vancouver housing market is lane way homes, and we also enjoy designing alternative residential buildings like straw bale houses, earthships and tiny houses. [Design Studios] DJA are a boutique architecture and design studio. Come see our new studio and some new projects we're working on. Snacks and refreshments will be served. [Design Landmarks] On September 5, 2017, Emily Carr University of Art + Design officially opened the doors to its new home. The 2-million campus was designed by Diamond Schmitt Architects to facilitate multi-disciplinary approaches to the arts with an emphasis on vision, learning and innovation. 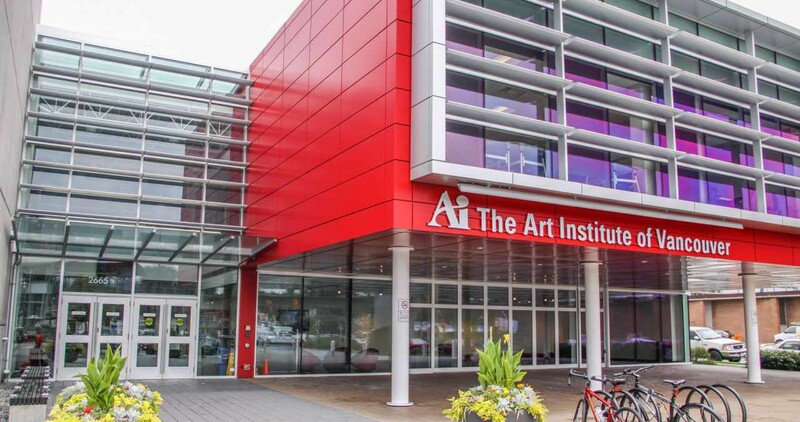 Join lead architect Ana Maria Llanos for a tour of the first purpose-built institution of art in design in Canada. RSVP April 24 to reserve a spot. - Honey and candles from H4H. - Try Faculty's Honey Hefeweizen beer pilot brew on tap, a special brew for this event! - Raffle tickets - prize packs with beer, honey and Faculty brewing swag, with proceeds going towards H4H. - H4H Hive box for visitors to draw/write on, then this hive will become a home for the bees! [Design Studios] Come visit our pop-up in collaboration with BoConcept Vancouver! Flaunt Fashion Library is an online dress rental startup. We offer a complete wardrobe from work to party to give women the opportunity to wear a new outfit everyday guilt-free. Our mission is to revolutionize how women consume fashion with less impact on the environment while being able to have the best styles. 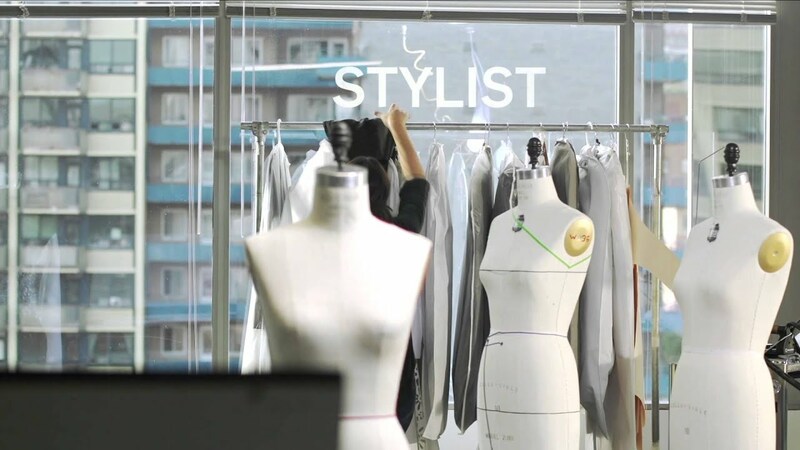 The founder Kim Luu will be present to share her vision of the future of fashion and showcase the launch of a new subscription fashion rental box. [Design Studios] Specializing in custom European hardwoods, modern stair systems, cladding, carpet, vinyl, and exterior applications, we have curated the perfect flooring palette for the modern west coast home. Drop by to hear our lead designer talk about how we create custom installations, complete with interactive displays and light refreshments and appies. [Design Studios] For Vancouver Design Week we are reaching out to demonstrate the important role of landscape architecture and urban design in the everyday life of the city. We want to demonstrate how intrinsic our work is to the experience of the city and the positive change that design in the public realm helps facilitates. We'll showcase the recently completed North Plaza at the Vancouver Art Gallery, completed in partnership with our architectural colleagues and studio mates at Nick Milkovich Architects. We’ll show our models, poster boards, samples of hardscape material, and images of our projects, with a 10 minute presentation on the development process of the Vancouver Art Gallery North Plaza. Refreshments and secret giveaways will be available. [Design Studios] Emily Carr award winner Patrick Christie has teamed up i.O.N (formerly Hemp and Company), one of Canada's oldest eco clothing companies, to design and build their first Vancouver location. Built from BC wood and sustainable materials, i.O.N provides a retail environment that shows a concern for our planet both environmentally and socially. [Design Studios] Linetest is a full-service production company focused on crafting imaginative motion graphics and animated videos to promote brands. We'll share our knowledge of animation and our design process during the open studio hours. [Design Studios] We'll offer a display of previous and current projects to showcase our design process, along with some icy sweet treats from our Earnest neighbours. MNSTR Gallery will not be open for Vancouver Design Week, many of you know we are expecting a new addition to tour family and last night he decided this weekend is when he is arriving. MNSTR Creative Studio + Gallery combines graphic design, art, printmaking, photography, and curation. We are a studio in Mount Pleasant run by Ben & Oli, a husband and wife duo. We hope to contribute to the art and design scene in the city and are keen to connect with the creative community of designers, artists, and craftspeople. [Design Tastings] Odd Tea welcomes you to our debut opening ceremony through VDW. Join us at our POP up at the Vancouver Special Anniversary event. Exclusively for this debut, we will be serving three of our meticulously prepared NO. 1 Blooming Collection including: FOREVER YOUNG HIBISCUS, GOLDEN LAVENDER MYLK, and MATCHA BLOSSOM LATTE for tasting. VDW's 2018 theme is reflecting on how design impacts our world. Our goal is to showcase how the products we have researched and developed can contribute positively to our community and our drive for sustainability. To complement our drinks with pastries, we will be collaborating with Little Wug Bakery and Cherie Cake Boutique for this event. Join us for interactive workshops at RED Academy and put yourself in the driver's seat of the design process. Don't know what any of these words mean? No problem! We love tech and we love to teach, so no experience is needed to make the most of our workshops across Vancouver Design Week. We'll be running these activities on UX/UI (user experience/user interface), throughout the day, so feel free to pop in and out to get a taste of what we have to offer. After your journey, make sure to stop by Party Town for a coffee and a chance to win a free Essentials Design course. Use the time to network with Vancouver's design community and learn more about what RED Academy's about! In our programs, students work with Community Partners as their clients. These partners are either non profits or impact start-ups, because giving back is what we do. It’s the basis of our curriculum, the foundation of our education model, and the reason we show up day in and day out. If you're interested in getting involved as a Community Partner, be sure to get in touch! [Design Studios] Audiovisual materials, and live demos of tools at work.Light Refreshments available. [Design Studios] Product Design, Visual Branding, Photography, Communications. We work collaboratively in the studio between Char Kennedy and Lobby Studio (www.lobbystudio.ca) to come up with engaging and thought provoking design ideas, and we invite the public into our space to be part of the conversation. [Design Studios] We are a design studio collective made of four Design Studios who want to share a space not only to help support one another but as well to collectively build on the shared values of creating a stronger community between peers. We will showcase our process and unique approach to design while open discussion on the growing concerns of what it means to be a future Vancouverite. Through residential design, our projects enable us to provide an intimate insight into the changing needs of a growing demographic. We hope by sharing insight into the demands of better housing models, we can then educate the general public about their ability to participate in positive change. [Design Studios] We are a coworking space where a range of designers/creatives share the studio together. We will have an installation/exhibit on display. [Design Tastings] Join us for a sampling of delicious locally made snacks and beverages as part of Vancouver Design Week. Vancouver Special is a design-focused retail shop on Main + 20th which opened in the Spring of 2008. We offer a special mix of local and international furniture, lighting, design accessories,and art+architecture books. As a thank you to the Mount Pleasant neighbourhood and the entire Vancouver design community for all their support over the past 10 years, we will be hosting an afternoon of food, fun, giveaways, in store promotions and kids activities. The University of British Columbia offers a rich design legacy to explore. More than that, the buildings and landscapes reflect key society forces that have historically shaped the place, including a significant collection of Mid-century Modern buildings that introduced fresh ideas on education and design. As the campus continues to grow and evolve, UBC Campus and Community Planning has sought to understand the campus as a cultural landscape so that each rehabilitation project and new development contributes to this sense of place. Tour leaders Gerry McGeough, UBC University Architect, and Karen Russell, Manager, Development Services, will discuss these forces and themes that have shaped the campus over time, how these are informing current planning, and lessons learned as UBC seeks to apply emergent “values based” heritage conservation practices. We will learn about the history and development of key sites and buildings along the route, their design and the architects that conceived them, and how they fit into the bigger picture of the UBC campus. [Design Studios] We transform the raw materials of software and hardware into refined user experiences. Come check out the studio and ask our designers about our projects, thoughts on the future of design, or anything your heart desires. Events added to the List will appear here and are saved only on this device. If you share your list a link will be created that reproduces your selections. Attendance to any VDW event is subject to our Code of Conduct. Planning an event? Help yourself to our brand assets to promote it in style! Stay in touch, and show your support. VDW’s third edition is the first to have a theme. Setting a theme creates the opportunity to look at design through a different lens each year, deepening our understanding of design and its presence. After all, design is the means through which we shape and create the world we live in. Almost every object, service, and built environment that we interact with has been designed by someone. Everything that has been designed has had a lot of thought put into it - from analysing problems and developing solutions, to conceptualization, production, usability, and ultimately, the resulting effects on people, society and the environment. This year, VDW will focus on the impact that design has on our lives and how it can be a powerful tool to make the world a better place. Participating studios will be able to showcase how their designs impact their environment, their industry and people. This will give VDW visitors a better understanding of the extent to which design impacts their world - from the images they see to the clothes they wear and the objects they use. We invite you to not just notice design, but to ask questions, uncover hidden layers, and consider the change that a design makes, lest it be taken for granted until it eventually “disappears”. From volunteering to hosting an event to showing leadership in your sector with a sponsorshipthere are many ways you can bring your ingenuity and passion to Vancouver Design Week. Each year designers of all stripes step out with a wide range of offerings to create the showcase of the city’s talent. In 2018, there are even more ways to participate. If you don’t see a category that fits your idea, get in touch and we will work with you to make it happen. Event host registrations close at midnight March 29. A unique opportunity to discover the "behind the scenes" of local design studios as they open up their doors to share their work, perspectives and practices. Learn (and taste) what shaped and inspired some of Vancouver's most distinctive tastings rooms (restaurants, cafes, bars, breweries) from the design teams that created them. Design discussions that open your mind, stimulate your creativity and learn first hand from our city's design leaders and innovators. Be guided through cutting edge designed buildings, urban spaces and normally private spaces led by architects and industry experts. Voted by Vancouverites, Design Landmark tours will reveal the how these buildings and spaces came to be, from the designers that created them. Suggestions so far include Polygon Gallery, Emily Carr, Hotel Vancouver, Robson Square, Woodwards, Wilson School of Design, Parks Board Office. The suggestions are in! See the 2018 Landmarks! Popular public events produced by our city's design influencers, with a special VDW twist! Bring your event’s perspective to a whole new audience with a special VDW edition. Note: Editions are registration fee-exempt. Teamwork makes the dream work! As a volunteer you will have access to places and people that help grow your network and lend a helping hand to a community-raised festival. We strive to create a great volunteer experience, but spaces are often limited so jump in early. Vancouver Design Week is 100% community-produced, and cannot happen without financial sponsorship. With various levels to fit a range of budgets, we have a place for firms of all sizes. Or, consider chipping in with a modest donation, because every bit helps. As we build the platform to not only sustain Vancouver Design Week, but to incubate and foster other initatives. Learn about our new membership program, and consider joining to grow your involvement in our unique design community. What is Vancouver Design Week? Vancouver Design Week (VDW) is the city’s official interdisciplinary design festival — at once a city-wide platform, invitation and call to action! VDW is a unique opportunity to: celebrate local design talent; connect design makers and users; and to support design’s capacity for improving the quality of our everyday lives. We are all impacted by design everyday. VDW’s mission is: to increase awareness of and appreciation for design, design process and the pervasive impact design has on important social and cultural issues; and to create an informed, inclusive (and inspiring!) participatory platform for engaging them. When is Vancouver Design Week? Where is Vancouver Design Week? It’s happening all around Vancouver. A full event calendar and maps will become available as events and locations are confirmed. Sign up for our newsletter to hear when the line-up goes live. Proactive question - we want you! Host an event, become a supporting partner, volunteer, make a donation... and most importantly: show up, join in, and stand out! Explore practices and processes, exchange perspectives with (other) designers, ask questions, share your thoughts and be a part of the conversation! How can I support Vancouver Design Week? Become a supporting partner, make a donation, or volunteer amongst other designers across disciplines and districts. See below for more details on all of these options. How do I become a host? Can anyone list an event? VDW invites local designers across disciplines to sign up for signature open doors events - Design Studios, Spaces, or Tastings. Open your space, show off your work, share a sampling of what makes you unique as a part of our design community! If you’ve always wanted to create — a design-focused happening — now is the time! Your inspiration can enrich, expand or constructively challenge the Vancouver design conversation, and you can successfully host it during VDW, apply for our Open Call. Note that a modest registration fee will be charged to help cover the cost of maintaining the platform. How do I sign up for events? Is it free? Attendance to some events will be free, some (where space is limited) will require registration, and others will require paid tickets. Registration and ticketing will be managed by individual event hosts / organizers, so be sure to confirm details before heading out. And sign up for our newsletter so you don’t miss any early bird announcements! Who puts on Vancouver Design Week and how is possible? Vancouver Design Week is a not-for-profit social enterprise, created by a passionate team of volunteers from across design disciplines; with the support of generous contributions of time, talent and resources from the larger design community. In collaboration with some of the city’s most renowned designers, design institutions, entrepreneurs, educators, thinkers, and makers — Vancouver Design Week has been willed into being by a shared belief that design is imperative to improving the quality and potential of our city. Help us make this vision a reality by showing up, joining in, and standing out!